The Trillian square is a simple granny square with a twist. You can use this square for many projects like pillows covers, totes, ponchos, shawls and blankets. 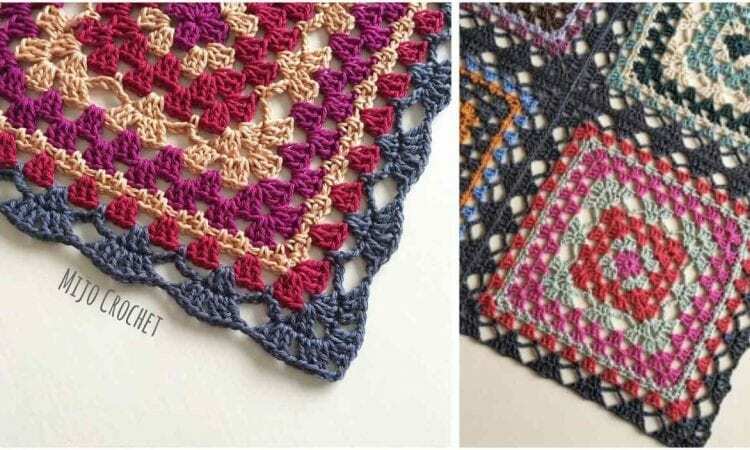 The design of Trillian square makes a wonderful pattern between the squares when they are connected to each other (sewn or crocheted). If you want to crochet a blanket from Trillian squares, see Trillian -Square Blanket with a Twist. For more free designs every day follow us on Facebook. Link to the free pattern and tutorial is below. Trillian – Granny Square with a Twist – Free Crochet Pattern is here. Don’t forget to Like us on Facebook. Share your ideas and your work on our Facebook group! These are beautiful patterns. Thank you so much. I love doing Granny squares.